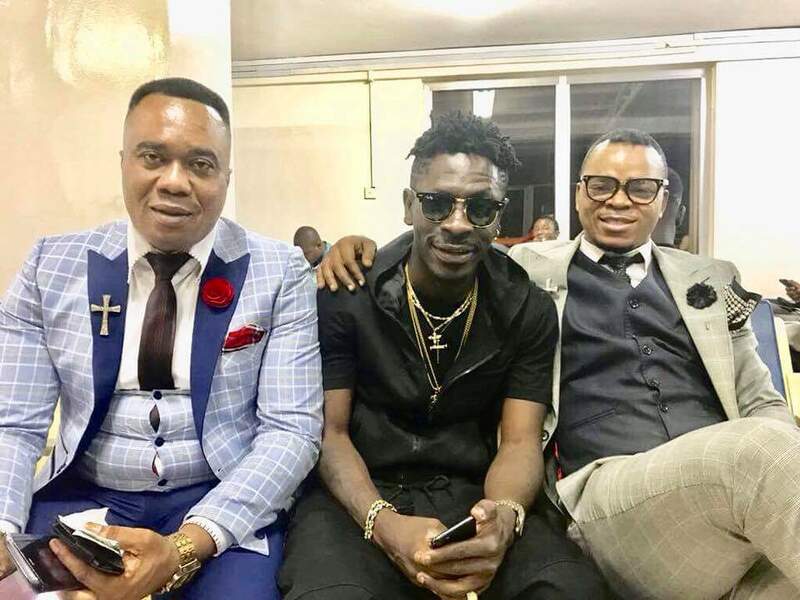 African Dancehall King, Shatta Wale has been spotted hanging out with controversial Bishop Daniel Obinim. The reason for their meeting is just a normal meeting by the popular man of God Bishop Daniel Obinim whom Shatta refer to as 'humble' as they hang out together in Kumasi earlier today. Obinim and Shatta Wale do have a very good relationship and so Shatta Wale promise to attend his church soon and also asked for his birthday gift as well. Below is what Shatta posted on his facebook page..